Special Agent Seeley Booth (David Boreanaz) is an FBI agent on television’s “Bones.” He is the FBI liaison to the Jeffersonian Institute, where he works with Dr. Temperance Brennan. 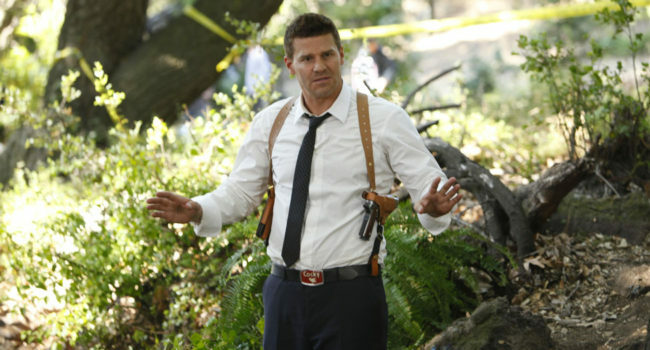 Despite the standards of the FBI, Booth allows his personality to show through with quirky ties, socks, and his trademark “Cocky” belt buckle. 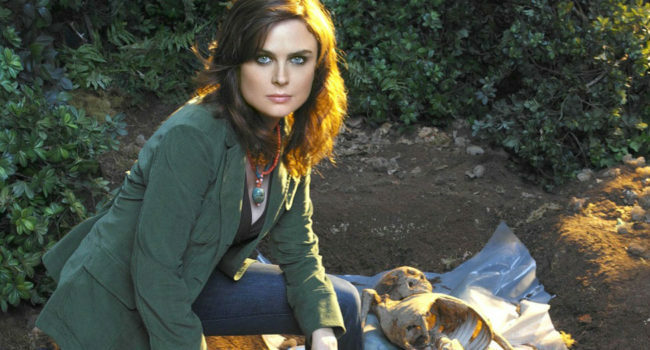 Dr. Temperance “Bones” Brennan (Emily Deschanel) is a forensic anthropologist on the television show Bones. She is part of the forensic team at the Jeffersonian Institute in Washington, D.C. Though brilliant, Bones is socially-awkward and introverted. Her personal style is eclectic, often reflecting her knowledge and experience with other cultures.